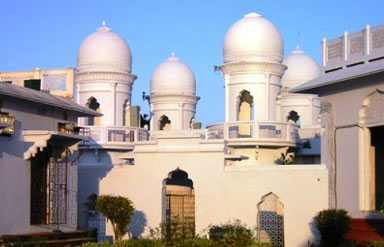 Tripura Government Museum, Agartala is one of the best attractions that you can explore during your Tripura travel. Established in 1970, the museum houses a rare and exclusive collection of archaeological items, which are excavated from the nearby areas. Tourists interested in exploring culture and heritage must visit this museum. Embroidery items, stone items, coins and Buddhist sculptures of the ancient era are the highlights of the museum. Major section of the sculpture collection belongs to Udaipur, Pilak and Jolaibari. Sculptures from Pilak depict mixed culture, which involves Hinduism and Buddhism. Famed for style and variety, these sculptures belong to bygone era (9th to 13th century A.D.). Most of these are built of sand stone. Terracotta figures in the museum are from Pilak and Amarpur. Some of these terracotta figures belong to Bengal School. Collection by a famous historian Sri Dinesh Ch. Sen, is the prized collection in the museum. Terracotta figures in the museum speak volumes about the culture, devotion and belief of the people. Bronze images in the museum have the charm that can steal your heart. These images are the evidences of the fine artwork and moulding techniques. 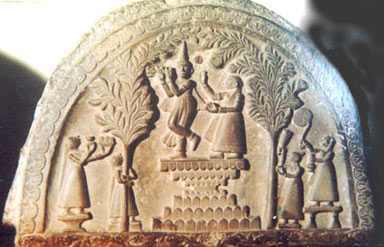 Some of the images are the miniatures of different deities, which include Mukhalinga Avalokitesvara, Vishnu and Tara. This amazing collection of the coins is the evidence of Maharaja Ratna Manikya's existence (145th king of the state, 1464 A.D.) Made up of gold, silver and copper, these coins are precocious for researchers as well as for heritage lovers. 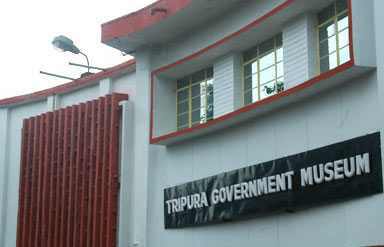 Most of the paintings displayed in the museum are the permanent donation from the Royal House of Tripura. The collection mainly comprises of life-size portraits of former rulers of the region. Most valuable collection in the museum is the contribution of Dhiren Krishna Deb Barma, Nandalal Bose and Gagan Thakur. The museum has four gallerias. The museum remains open from 10:00 am-1:00pm and in evening tourists can plan a visit between 2:00 pm-5:00 pm. On Sundays and on all other Gazetted holidays, the museum remains closed. Tourists need to buy entry tickets, which are available for a nominal fee.